To ensure its customers are "part of the process" when it comes to developing its CAD and PLM solutions, Gerber Technology's annual Ideation event gives them a platform to help set the agenda for future products. This year, faster development, improved workflow and better visibility were among the challenges up for discussion. "The focus of this two-day event is really on sharing and generating new ideas," explains Bill Brewster, general manager of the company's Yunique Solutions PLM division. "We show what we've been working on, either a new release or a pending release, and this is an opportunity for customers to give us direct feedback. "It's not just a one-way discussion or monologue, it's truly a dialogue with our customers and our users about where our focus needs to be, where our investment needs to be, and getting their input into that process." This year's event in Boca Raton, Florida attracted around 250 apparel and footwear executives for a combination of hands-on training and demonstrations, as well as a first look at new launches and a broader discussion on the industry's up-coming needs. "There was a lot of energy and excitement," adds Mary McFadden, director of Gerber CAD product management, noting that one of the biggest challenges discussed is "having to create more styles in a shorter development cycle time". It's a point also picked up by Brewster. "People are looking to have speed in their development, make sure they're getting the right products to the shelf on time and at the right price, so they're looking to reduce process steps and have more visibility - because as they move faster there's more opportunity for error, more opportunity for missing dates." The company sees 3D technology as "transformative and disruptive to the process of the way we develop our fashion products today," and has put 3D garment development and pattern-making at the heart of the new AccuMark 10, which will be available in spring 2015. "The benefit of virtual sampling allows you to work through a designers' intent and then also accomplish the right 3D patterns in a faster, more efficient way. You can create virtual samples more quickly and you can test out design ideas, refine your design intent, so that when you finally make that first physical sample, it's the best physical sample it can be," McFadden explains. She adds: "There was a lot of discussion around fit and grading this year, the size of bodies that are changing around the world, and some people are uncertain how to create graded sizes for larger bodies." Gerber's focus begins with pattern design, "the first and most obvious step" in creating a 3D sample, by "virtually assembling" 2D patterns in 3D. "The second step in the process is to work with the designer in 3D. They can refine their ideas, getting into the whole collaboration process. Whether they are geographically in the same place or in different locations, they can use this as a tool to communicate." The resulting 3D image is a "digital asset" that can also be used for other purposes such as merchandising or marketing. Also included in the new AccuMark release is the ability to add fabric, textures, images, logos and embroidery details inside the pattern pieces - which will also show up in the markers. "There's a great deal of interest around digital printing, so once you make your marker with these fabric images you can also create the data to drive a digital printer," McFadden explains. 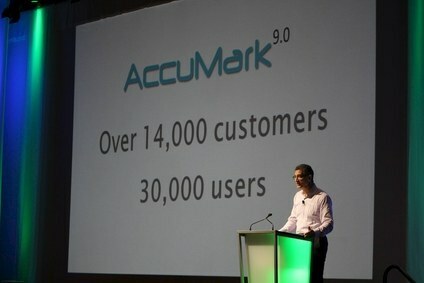 It is also possible to share 3D images and even motion files generated in AccuMark V10 with development teams and supply chain partners around the world, through a new integration with YuniquePLM (product lifecycle management). "We've added the ability to read the YuniquePLM material database, because when you do virtual sampling you always want to include the fabric of the garment." The images can be included within the PLM pages for the tech-pack, for example. Technology advances outside the apparel space, from industries like gaming and entertainment, are also a source of upcoming inspiration. "One thing we talked about at Ideation was motion; a lot that has happened in this area and we want to be able to make our system open so that whatever data is available out there, our customers will be able to leverage and use for their benefit." Helping companies to manage their businesses more effectively, reduce risk and improve visibility has also driven the latest developments in YuniquePLM V6. Brewster explains: "PLM continues to evolve; the PLM footprint continues to expand. That's why we've invested heavily in the planning area, because customers are now looking for planning to be an integral part of product lifecycle management: it drives development, what channels and assortments they are delivering to the marketplace depending on geography, depending on store type...so their whole assortment planning, line planning is something that our customers are looking to have integrated tightly with PLM. "Also, almost everyone now wants PLM integrated with their ERP system. So having that single version of the truth of product-related data across multiple platforms to make sure it's consistent, it's accurate, and well communicated to all the different entities within the customer or within the entire process of designing and developing and sourcing and producing the product." The new line planning capability in YuniquePLM V6 provides financial planning and what-if scenarios "to ensure you're developing the right products to hit your financial targets for the season or the year," Brewster explains. Once this plan is established, placeholders are automatically generated for all new styles, helping to reduce development time. There is also a new development calendar for visibility throughout the process from the development of the plan through design, product development, sourcing and the supply chain. The calendar is integrated with workflow capability, which means it is automatically updated as work such as creating styles, quotes or tech-packs is completed. The third new area is Toolkit 2.0, which lets customers configure and modify the system in line with their own needs and processes. "If you're a luxury goods provider your needs are going to be different from a fast-fashion retailer; if you're a manufacturer, the needs around bill of materials and bill of labour are very sophisticated," Brewster notes. While "more and more out of the box functionality," is a major requirement for customers, the Toolkit helps manage the rollout process by enabling further tweaks or modifications. "One of the shifts in the marketplace has been away from multi-year deployments; this industry wants short time to value," Brewster explains, adding: "We also have cloud deployment; this we see as another growing need." Trends in demand for PLM systems are seeing increasing interest from Eastern and Northern Europe, as well as China - where there are also increasing requests to train suppliers on how to use PLM more effectively with their customers' design and development teams. 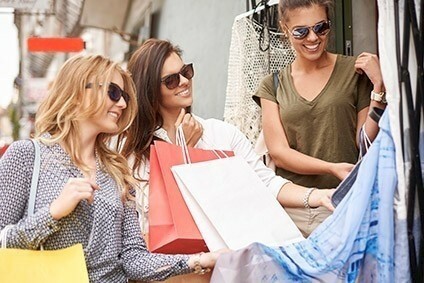 Another shift is taking place as China's apparel sector moves from an export-based model to supplying more domestic consumers, and Gerber recently began the implementation of YuniquePLM at Semir, the largest retailer in China by market capitalisation. With 4,300 sales locations, Semir is hoping to strengthen the communication and collaboration between its departments and suppliers.